I have closely followed Bungie for a very long time. Their games have been atop my playlists ever since I first saw Marathon. I remember Myth quite fondly as one of my first multiplayer experiences, and loved Oni from the start. The Halo series has been a longtime favorite of mine (Along with practically everyone else). Now the big blip on everybody's radar is Destiny. If you haven't watched it already, the presentation given by Bungie at this years GDC is a great window into the world of Destiny. It gives us far more in depth information than any other video or trailer out there so far, getting as deep as classes and playable races. While holding many earmarks of an MMO (multiple races, classes, open environment, massive online multiplayer, public events) the team at Bungie has steadfastly refused to call it an MMO. They will go so far as to call it a massively online shooter. What in Destiny really justifies that distinction as of yet, we do not know. While pure speculation at this point, it is possible that you could play privately, allowing only friends to play alongside you. Perhaps the online component may be handled similarly to Dark Souls, having players inhabit parallel worlds and be able to "cross over" into other players games to help or cause havoc. 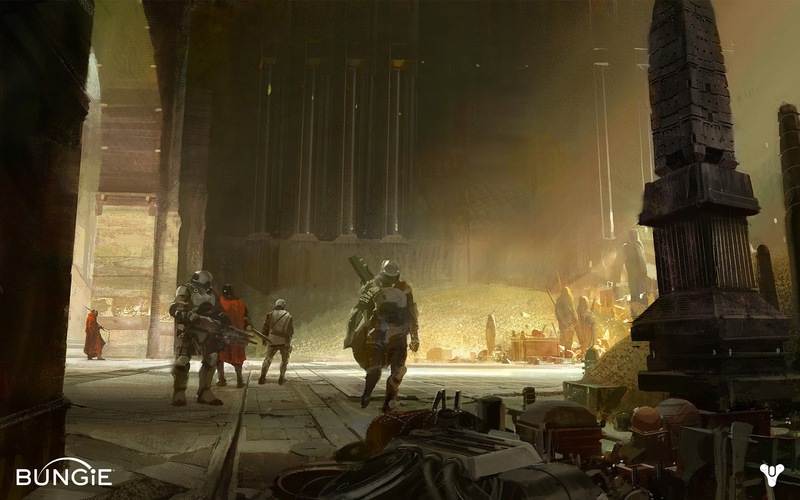 For now, Bungie has left many aspects of the game under wraps. What we do have is the basis of the universe they intend to create. Earth is reduced to a single bastion, protected by a strange sphere known as the Traveller. 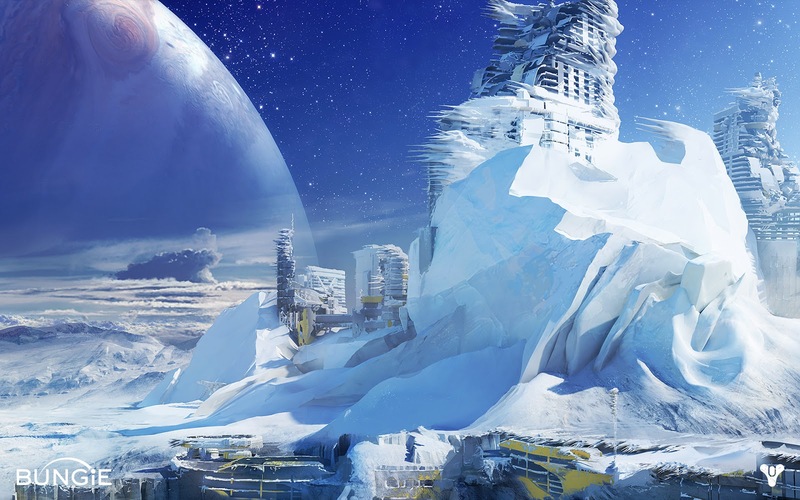 Throughout the system, other alien species have built colonies and bases in the ruins of Mars, the terraformed jungles of Venus, even the remains of old Russia. The idea of playing as an adventurer in this universe feels like the beginning of a grand Homeric tale; frought with peril, deep in meaning and immense in scope. To drive that feeling home even further, the reveal trailer featured an excerpted reading of Kipling's Law of The Jungle. The term epic is thrown around a lot these days. Everything from burgers to cars are "epic." The word has been drifting away from it's original definition relating to something of massive size and scope. Something so extraordinarily large or vast that to call it anything else would be a gross understatement. 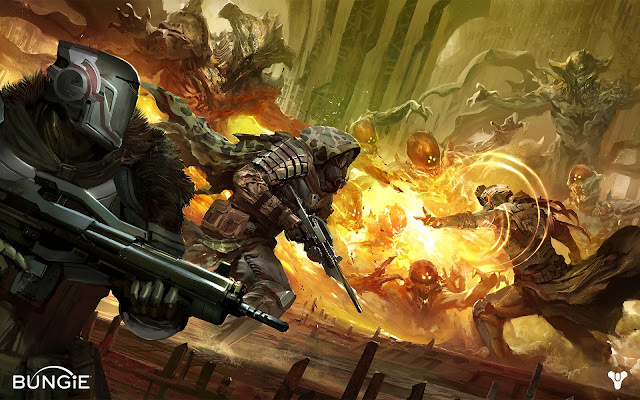 Bungie's use of "epic" feels more appropriate. I think what is really significant about Destiny so far is that Bungie has given the community the framework for it's new creation long before the game's release. The anxious throng of potential players is already settling on their class choices, imagining what their character will look like and how they will play the game. I've already settled on a race, class and am working on a back story for my own character. My excitement is palpable. I already feel the electric tingle of waiting adventure. My curiosity is peaked, my fire team is prepped, and I am more than ready for some grand adventure among the stars.